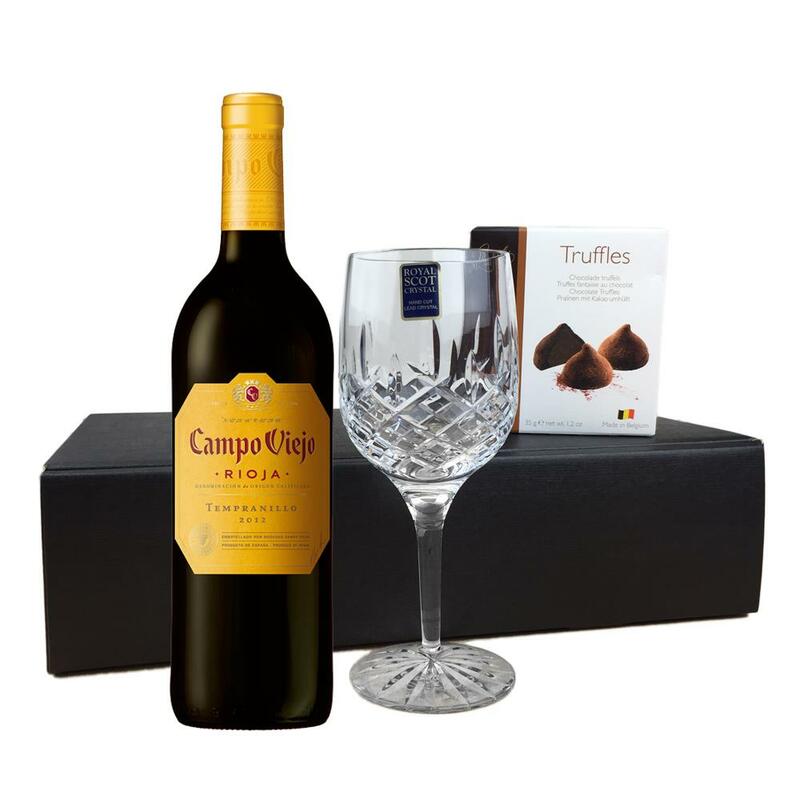 Buy this lovely gift box and get and get a bottle of Campo Viejo Tempranillo - Spain all packed together with a beautiful hand cut lead crystal Royal Scot Wine Glass And box of Hamlet Belgian Chocolate Truffles, presented in a lovely black gift box. Campo Viejo Tempranillo A mid-weight Rioja which bridges the gap between fruity and oaky styles of Rioja. Campo Viejo are the market leading Rioja producers. Light to medium-bodied ripe meaty jammy raspberry fruit with rounded warm spicy flavours and vanilla hints.